Photo Courtesy Of The Gypsy Den Salon NEW DO NEW YOU The professional stylists of the Gypsy Den strive to make you feel fabulous with a new cut, color, and style. 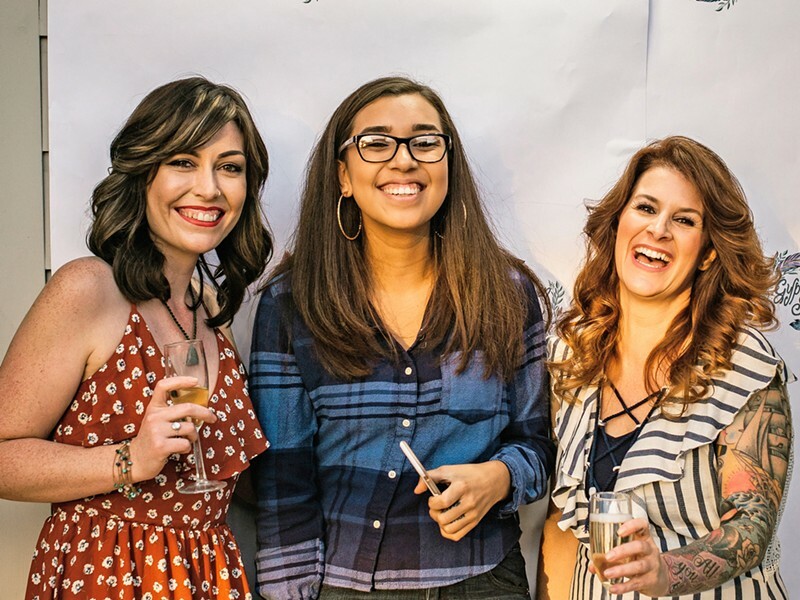 Pictured from left, Ashley Branum (stylist), Kenia Hernandez (front desk coordinator), and Jennifer Hammack (owner). 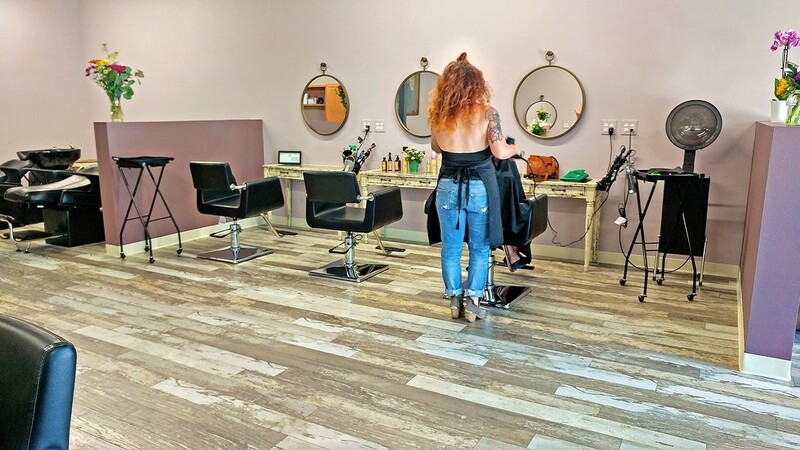 Walking around Higuera and Marsh Streets in downtown San Luis Obispo, you'll notice many windows showcase stylists cutting away or dying hair. There is a salon or two (or three) on every block, and many specialize in more than just the beautification of hair. But a new salon that opened last summer chose an unlikely location in which to pamper its clients. The Gypsy Den Salon is located off Broad Street, in the same shopping center as The Rib Line, Oki Momo Asian Grill, and Dollar Tree. Owner and stylist Jennifer Hammack said the biggest reason for her location choice was parking. "I didn't want to be downtown, which I know is kind of a weird thing, but the parking was such a big deal," Hammack said. With plenty of parking spots and a new space, she was able to make the salon her own. Entering the Gypsy Den, you'll meet lilac-colored walls and flower-filled vases at every station. "I was going for a boutique feel. I really wanted something that was not assembly-line feeling, like some of the larger salons can get," she said. Not only does the friendly staff greet you with open conversation but during your appointment refreshments—tea, coffee, wine, or champagne—are offered. This isn't Hammack's first go at running her own business, she had a salon called Generation X in Arroyo Grande. It was small and Hammock was a one-woman-band, owning it and tending to her clients. She sold it in 2007 and never thought she'd own a business again. After that venture, she worked at salons in SLO. "I had some clear ideas of what services I wanted to provide to our customers and wanted to be more one-on-one with them. I wasn't finding that just being a stylist," she said. With hard work and a little faith from her new landlords, Hammack was able to open up a salon of her own again. "It feels like a second home, I got to decorate it and make all the decisions for the business. Some days I don't want to leave, because I enjoy being here," she said. Hammock's been in love with the art of beauty since she was in high school. During her teens, she would try to replicate makeup and hair trends on her friends. "I was a prodigy of the '80s; you know, the one can of Aqua Net. I loved the big hair and makeup," she said. At 19, Hammack graduated from the Allan Hancock College cosmetology program and received her license. She's been around the beauty scene long enough to see how trends have evolved over the years. She said that in the past, many of her clients were coming in asking for the "Rachel" hair cut from the TV show Friends or for a do from 90201. Now, beauty trends are dominated by Pinterest or Instagram photos. That's why Hammack is grateful for her diverse crew of female stylists. "We have some stylists that specialize in college students, some that do edgier styles, and some of us cut men's hair," she said. "The crew is amazing and we all get along really well." Hammack said she hopes that when clients come in they feel pampered, like they're at the Gypsy Den to hang out. For more information about the salon or how to schedule an appointment, visit thegypsydensalon.com.